Rocket Matter Knowledge Base Document TemplatesHow to insert a matter custom field into a document template. 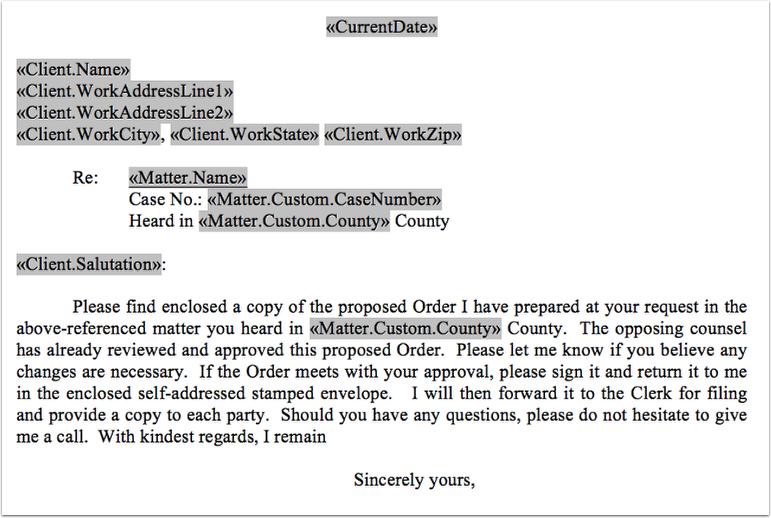 Before getting started, be sure to create the matter custom fields for a specific matter or for all matters. Need help creating a matter custom field? 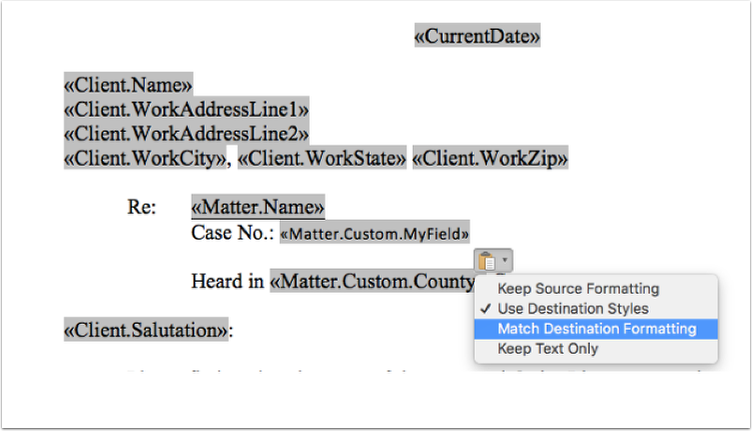 Single Matter: How to add a Matter Custom Field for a specific matter. This field will appear on the matter dashboard for the selected matter. 1. Navigate to the matter dashboard and insert the value for the matter custom field. Be sure to save your changes. 5. Select all of the text "«Matter.Custom.MyField»" and right-click to copy the text. 9. 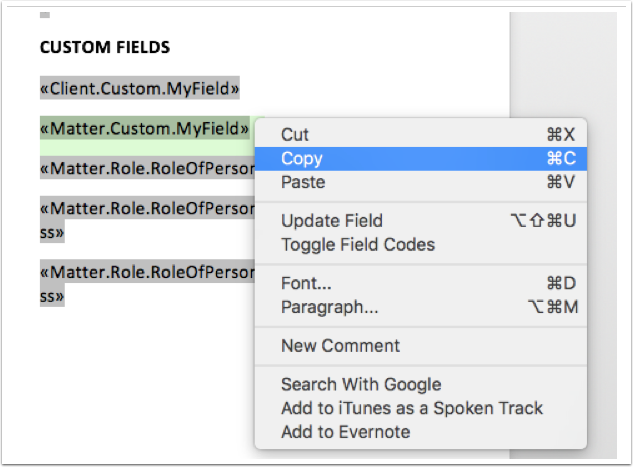 After the period, insert the matter custom field name where the text reads 'MyField'. If the field name is two or more words, do not insert a space in between the words. 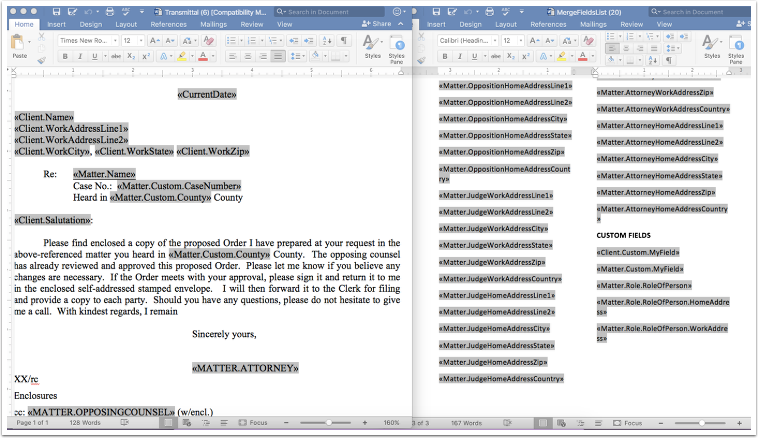 For example: Case Number should be written CaseNumber. Prev: How to create a document template.